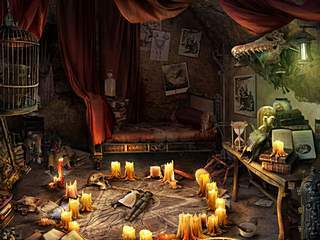 The hidden object/adventure genre is assosiated with mystery, ghosts, somebody missing, abandoned places etc. And Dark Dimensions: City of Fog is just so totally about it. Everything about this game makes it even more perfect. You will play a lot of hidden object levels. They are fun for several reasons. You play as an investigator of a town in the United States. There is something mysterious going on in this town. The only theory is that the town was in the area of so called dark dimentions. All of the citizens just disappeared one day. This fog seems to consume things and people. You find yourself in this town. You get some help from somebody when you occasionally find some clues as to what is going on. Then you meet a ghost of a girl trapped in this middle realm. She guides too. So step by the step you learn what had happened. It is good that the story is not told ring in the beginning of the game. You will play a lot of hidden object levels. They are fun for several reasons. For one, the items belong to a location. There isn't too much of clutter from nowadays. Another thing that I enjoyed was that some of the items, sometimes half of them, take you to interact with some other items. That is not new, but it's usually one or two items like that, not half of them. That added more challenge to that. 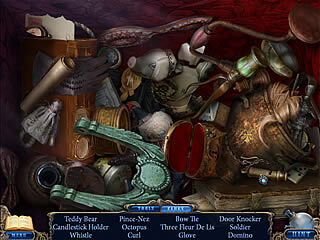 There are also tasks for you in between the hidden object searches. Some of them are the interactive quests as you go from one place to another. And then there are also mini-games. Those are different brain teasers, that are a nice change. And the greatest thing in this game is the graphics and soundtrack. Those are top quality audio-visuals. If you are anything like me, you will appreciate how much that adds to the general atmosphere of the game. The game is one the best that were released recently. I doubt anyone will regret playing this one. A few years ago I'd have to pay seomnoe for this information. The pucrhseas I make are entirely based on these articles. 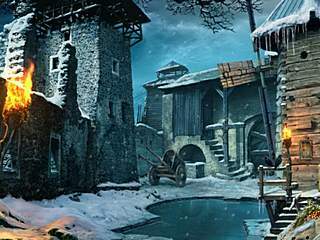 This is Dark Dimensions: City of Fog CE for Mac OS review. Download this game here.